Top Rank, provides networking and IT support for small to medium businesses. We offer solutions and support to implement a safe, secure, and reliable network. Our qualified and experienced engineers will maintain your network infrastructure while enhancing the protection against the latest viruses and intrusion threats. Our comprehensive services will provide your organization with an overall infrastructure to meet your business demands while minimizing your current and future investment. PC Tune Up Special: Wireless Router Setup Pkg. You have your oil changed, Your lawn mowed, your car washed and your laundry dry cleaned regularly. Don't your computers deserve the same attention? With all the modifications, installs, add/remove programs and millions of processing actions taking place everyday, you owe it to yourself to protect your expensive investments with a high quality customer driven IT consulting firm. Our fast response time to the Los Angeles, San Bernardino and Riverside counties guarantees that you have immediate results when you need them. 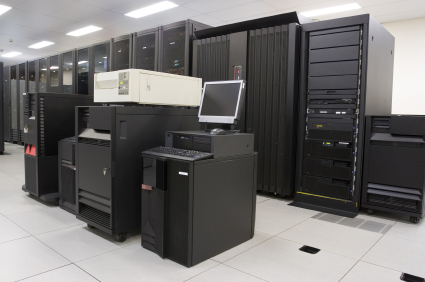 Let us take care of your systems on a regular maintenance schedule for peace of mind and improved system uptime. Computers are something we don’t all think about as needing maintenance. They are not a "set it and forget it" countertop roaster. You must take care of your computers so they can take care of you and generate profits, not headaches. Give us a call today for reasonable maintenance rates starting as low as $100 per month!